Details: Raised porch with curved end, decorative columns with picket railings and lattice board underneath. side window bump-out with large decorative brackets, Bay windows with corner boards and dentils. Poly chromatic paint scheme, punched windows. Curved-top windows. Turret with frieze and decorative siding. 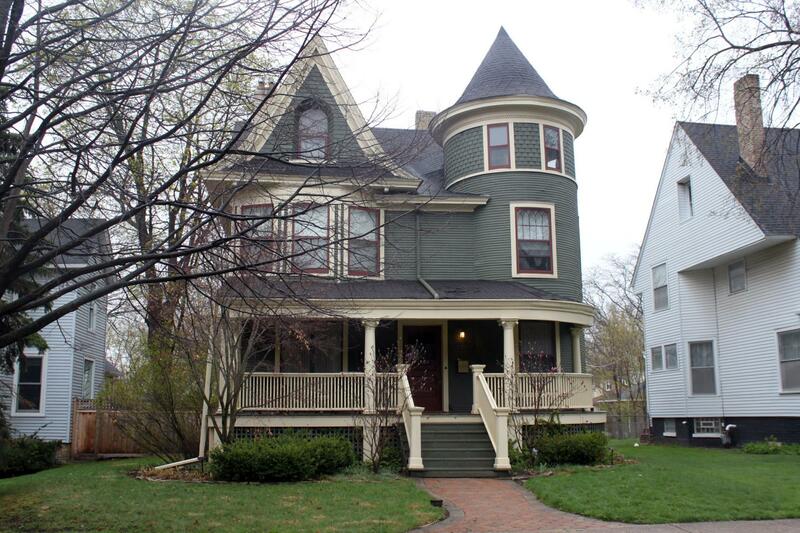 Historic Features: Turret with peaked roof, bay window, steep slope dormer, on third floor, wood siding, frieze board., dentil moulding and carved wood support brackets, curved roof end on porch and window headers, decorative columns, bay window, cornice, wood water table. Alterations: Retrofit gutters and storms.